"This car was the BEST deal! Saved me so much time and money. I was going to order all the same pinewood derby parts and put the car together myself, then realized that this car would actually save me much valuable time and money! My son won the whole race. Thanks again!" Our Hot Green Flames car is a super fast, fully built pinewood derby car designed to meet BSA rules. It is an Official BSA car block, BSA axles and BSA wheels from the Cub Scout kit. This car has been pre-weighted, painted, track tested, and supplied with our BSA precision lathed Speed Wheels and BSA polished axles. If you are out of time and still want to compete in your race, this car is for you. Optional front left raised wheel hole proven to increase car speed. The Green Flames color comes from a vinyl body skin to give you a cool, hot, perfect finish! Very fast shipping and awesome quality! 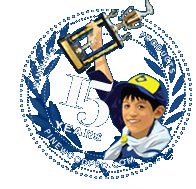 Everything was seamless and shipping was fast and that was important because waiting to the last minute is what brought me to Pinewood Pro in the first place, speaking of 1st place he was very excited to stand atop the podium. Thanks for everything! This car was one of the fastest cars on race day in our pack. It won every heat it was in except for the one race where he had to face his brothers car (the exact car with a different skin). and it was only mili-seconds behind. I highly recommend this car to someone who doesn't possess the tools to get it done at home. The secret is applying the graphite. Once you think you've added enough, add some more. It won 1st in the troop, now on to districts.